Wonderful place to sit and think! Spring. Beautiful and I'm so ready. think spring! I bet is smells heavenly too! Just what I need this time of year. So lush and flowery - it looks like spring has already arrived in that picture! Teresa: I agree except this is a touristy place and lots of people pass through here. Sandee: This was taken last spring. Just something to look forward to this year. Ash: Okay, I will keep the noise down for you although the bench looks too hard to be comfortable. Colleen: It seems that way doesn't it. Yogi: Especially for people who has been receiving non-stop snow. Catsynth: It was from last spring. I'm hoping to see it again soon. looks lovely and inviting. Happy spring! 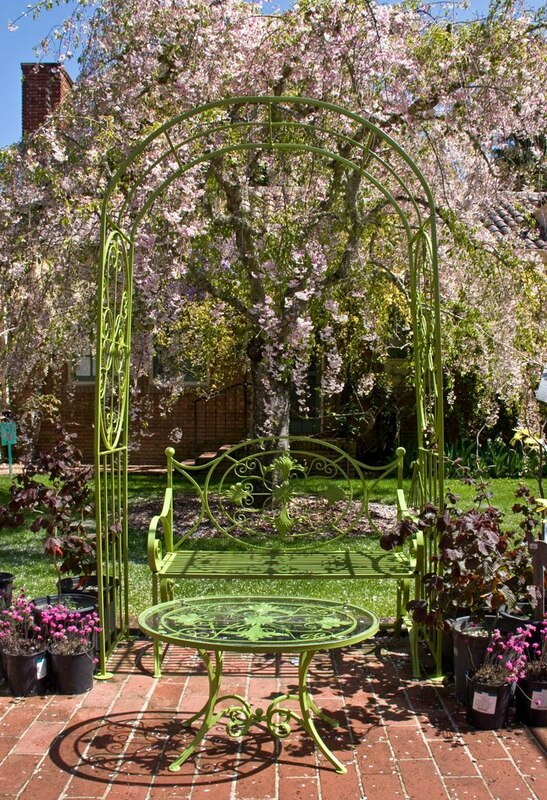 How beautiful, I wish I could sit there this spring! You surely put something that many dream of. Spring. Very nice, Karen - As others have commented, it seems as if it is fragrant with the scents of spring. The garden looks so pleasant and lovely! I want spring!!! Now that's what I call a peaceful place. I want springtime!!! i can't wait for spring. lovely shot. 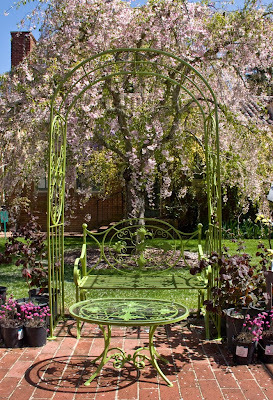 looks like the perfect place to sit, relax, and read a book on a lazy afternoon. I hope everyone will see spring soon. It is only 5-6 weeks away. Summer then is just around the corner. Why does winter seem so long and summer so short? In the meantime, enjoy your time sitting on the bench.